As the weather hits triple digits, the albums go into the doubles with 10 releases to talk about today. --- We're going to start off with one of the hottest releases out this month, so hot it literally came out yesterday, from SLC's own Spell Talk. There's been a lot of talk over the past few months about what the band was going to do to follow up their absolutely popular full-length album Touch It! from September 2011, especially after having successful shows at CMJ and SXSW. So, what did the band do? 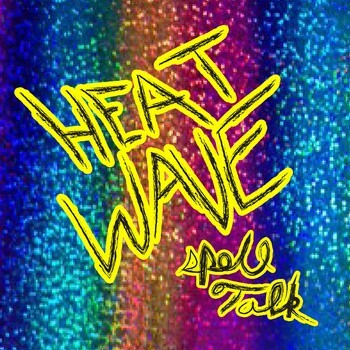 They hooked up with KRCL's Bad Brad Wheeler and Mike Sasich of Man Vs. Music for their next round of recordings to produce this three-track EP titled Heat Wave. This is the last set of recordings featuring guitarist Elle Rasmussen before her departure earlier this year and showcases the band continuing to progress as a group with trickier beats and more experimental solos. It barely goes over eight minutes, but its completely free to download from their Bandcamp page, so you really can't complain. 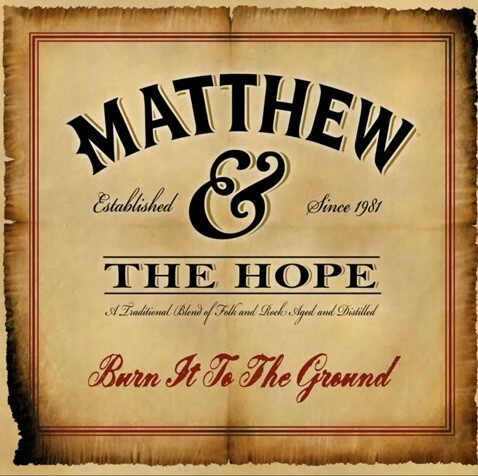 Moving on to some releases that glided in under the radar, the first is from Matthew & The Hope. An alternative country band based out of Salt Lake City, the trio of Matthew Bashaw, Jamie Hunt and Kalen Gilleese have been playing more to the small bar scene in town such as The Green Pig Pub and Poplar Street. There isn't much to really comment on the band, as they've been together for roughly five months, but in that time they managed to crank out a fine full-length album called Burn It To The Ground. This debut is a fine example of what three people can pull off with a little coordination and timing; no grand tricks or overly produced mechanics here, to a degree this album reminded me a lot of Joshua James' last release. It's definitely worth checking out, but sadly, there doesn't seem to be an online download. You'll have to find the band playing in town to find a copy. 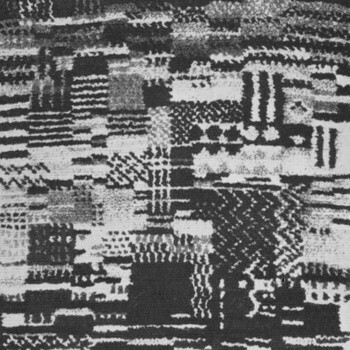 Switching over to a more technical music, there's a dual release of sorts out now from Mr. Vandal and Grimblee. Two of Utah's more versatile in dubstep and electro-pop decided to combined forces and release a split full-length album of works. Technically speaking, it's a split album, but they switch off between each other and don't have solid sets like normal split albums would, so in actuality you're getting a mixtape of their music. 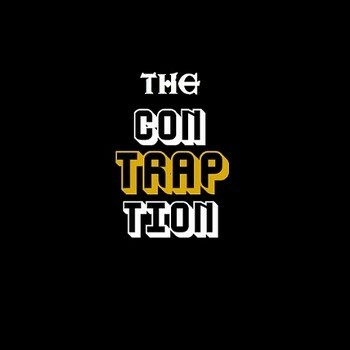 The album, titled The Contraption, is available for download for a “name your price” tag on Bandcamp. Speaking of duos, this week we see the latest release from Task & Linus, the tag-team effort of local hip-hop rapper Task Rok and Ogden's own Linus Stubbs on the beats. The two have been working off and on for a few years now; their debut album Urban Life Of The Suburbanites came out in the summer of 2009, followed by their sophomore release The Movement last July. Now, they're back with their third album, The Roil Holiday EP, which is clearly not an EP, with 14 tracks on board showcasing Task's growth as a performer as his rhymes flow without trying. Not to be outdone, Linus is in the back cranking out classic jazz, something I feel I need to repeat -- classic jazz! I'm talking piano and horns that take you back to smoke-filled halls, but, of course, it comes with its own mix of fresh beats and mixes. If you're into the genre, you need to listen to this one. You can download it for a “name your price” tag off their Bandcamp page. Moving over to some solo works, we'll start with the debut album from Jake Burch. 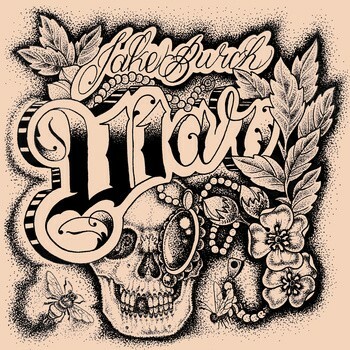 If that name sounds slightly familiar, it should, as Burch currently serves as one of the members of L'anarchiste, mostly holding down keyboard and guitar duties in the band. It appears Burch decided to record some work on his own on his indie/folk tour-de-force debut album, War. I wish we had some extra info on the album, such as who is playing and singing with him, but details on who contributed with him are sketchy. In any case, it's a very nice album that's at least worth listening to if you're into acoustic works with a lot of harmonies. You can download it for free from his Bandcamp page right now. Next up is the sophomore release from California-transplant-turned-departed-Utahn and solo singer/songwriter Emily Brown. 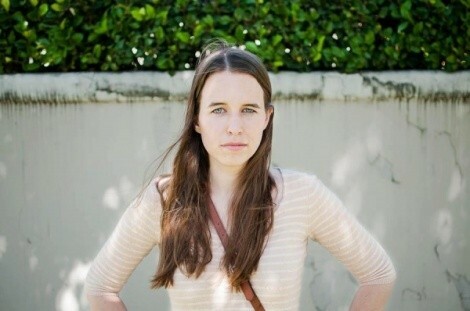 A former staple of the Provo music scene as a solo artist, Brown was also a key member in the melodic folk band Book On Tape Worm as their keyboardist, but sometime in late 2010, she got the itch to create solo works again and released her debut album, This Goes With Us, in April 2011 to much praise from the Utah County music scene. In the fall of 2011, Brown (seen above) moved to London to study English and art, and focus on her album and career dwindled in the eyes of press, but clearly, she spent that time coming up with new works to record when she returned three months later. 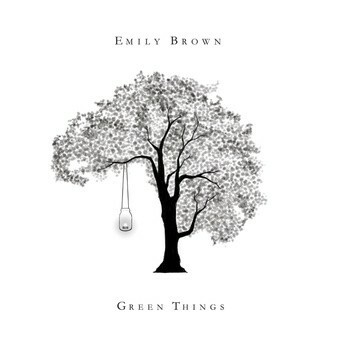 Brown hammered out her second full-length album, Green Things, with Chris Bennion of Red At Dusk Studios, and it came out sounding superb. Sadly, we're not going to be seeing much of Brown after this album's release, as she'll be departing for Russia to serve an LDS mission, but she vows to pick her music career back up when she returns in January 2014. You can download the album or purchase a physical copy off her Bandcamp page. 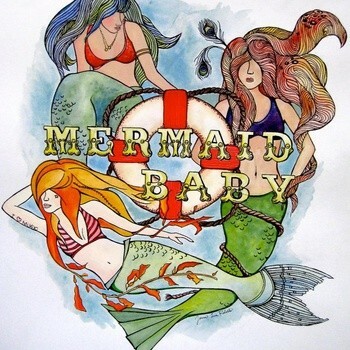 Next up is the debut album from Ogden-based indie rockers Mermaid Baby. Not a lot to write about this group, as they've been together roughly a year and haven't seemed to branch out much beyond the Ogden music scene, but the trio of Jordan Ballou, Tyler Thomas and Logan Arnold have managed to earned a fine reputation with visiting bands and have one hell of a following in their hometown. The group hooked up with Danny Rash and BJ Fitzgerald of Tuesday Sound in Logan to record their debut release, Sail To Sea. You can tell the group loves playing, but the album clearly shows they have room to grow; not a bad debut release. You can download it completely free off the group's Bandcamp page. 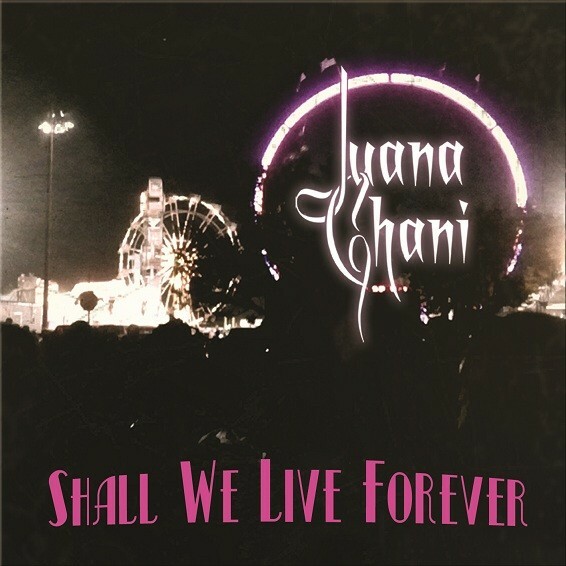 Moving on to actual release shows, we've got three over the next few days, and we'll start off with the one tonight for Juana Ghani. I chatted with the band for my blog a few months ago, so rather than rehash what you already know, go read that and we'll get onto this album. The 13-piece group's sophomore album, Shall We Live Forever, is a masterpiece of gypsy-influenced music, with no one single member overshadowing the rest of the band. That's a rare find in ensemble groups, as there usually tends to be one person who clearly has much more going on in the recordings than the others, but not with Juana Ghani. They've got a perfect blend between the music and the vocals, with everyone getting a great deal of exposure. It's at least worth listening to. You can catch them at their release show, which will be taking place during the Underground Gypsy Cabaret at Bar Deluxe. Aside from the dancing and performances, the band will be playing with South Of Ramona and Black Box; just $7, starting at 9 p.m. This Tuesday, we'll see two release shows happening in one night. The first, taking place at Kilby Court, will be the latest release from JP Haynie. No stranger to the Utah music scene, Haynie has produced an impressive catalog of releases for several years, ranging from full-length albums to singles, and in some cases putting out better albums than some of the more recognizable names in the area. Now, the low-fi folk rocker is back with his first full-length album in over two years titled The Sand. Very little has been released about this album as far as music goes, but the packaging alone will be worth owning! Haynie will be releasing a multi-colored vinyl with 24-page booklet, complete with digital download, all with help from Wild Kindness Records. This may be one of the best-packaged albums of the year, and will probably be sought after by vinyl collectors and indie fans. You can snag a copy at the release show, as Haynie plays with OK Ikumi and Ben Best; just $5, starting at 7 p.m. Fear not, Utah County fans, a second show is being planned for Black Pyramid Studios shortly. If you'd like to see the album, check it out over on his Bandcamp page. And then later that evening, you can see the debut release from Shrugboat. This is a project from SLC musician/producer Brad Butler, something he's had in mind for years while working with other musicians in the city, but finally decided to make it come to fruition with the help of fellow SLC players Lindsay Heath, Tim Grant and Camille Richey. 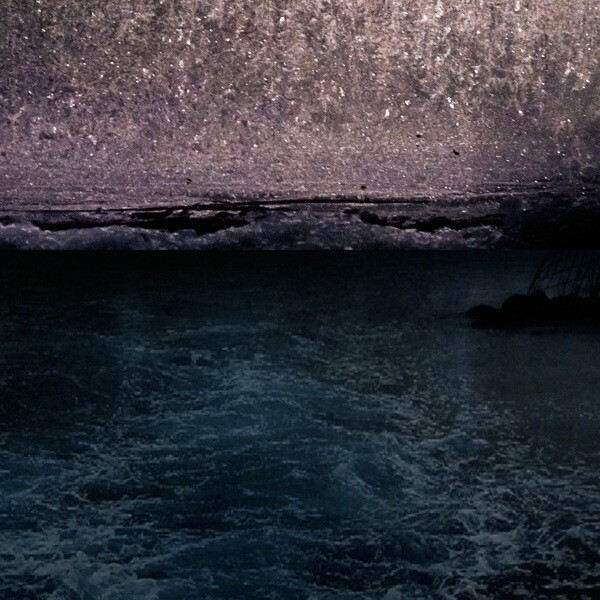 This debut album, Sea Ghosts, is very much a mix of samples, drone beats, synth and low-fi production, an album that kinda creeps up on you when you least expect it. This release is worth checking out, and it will be very interesting to see how it's pulled off live. You can see how they'll do that, as they'll be playing The Urban Lounge on Tuesday night with Palace Of Buddies, Conquer Monster and Silver Antlers. To add to this delightful showcase -- it's absolutely FREE TO ATTEND! Show kicks off at 9 p.m.